Short ribs are so tasty and juicy if you do them right. Doing them right used to include a quick brown up and then a long slow braise in the oven to make them tender and perfect. I do enjoy that method, but sometimes you forget to make dinner and then you might go into panic mode. Oh maybe not? Maybe that’s just me? 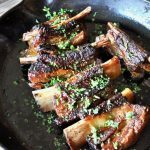 These Easy Instant Pot Short Ribs are so quick and hands off to make they give you plenty of time to make the rest of dinner or quickly marshall the troops to clean the house or sit back and put your feet up while dinner cooks itself. Add a salad, and a side and dinner is done. These Easy Instant Pot Short Ribs are indeed the easiest way to prepare short ribs in about an hour. And you don’t need any special ingredients or fancy tools, well except for an instant pot you will need one of those. It does involve three steps to cooking through. Initial browning, the pressure cook and a quick trip under the broiler to crisp them up and add color. With one simple change, you can easily make these Paleo! 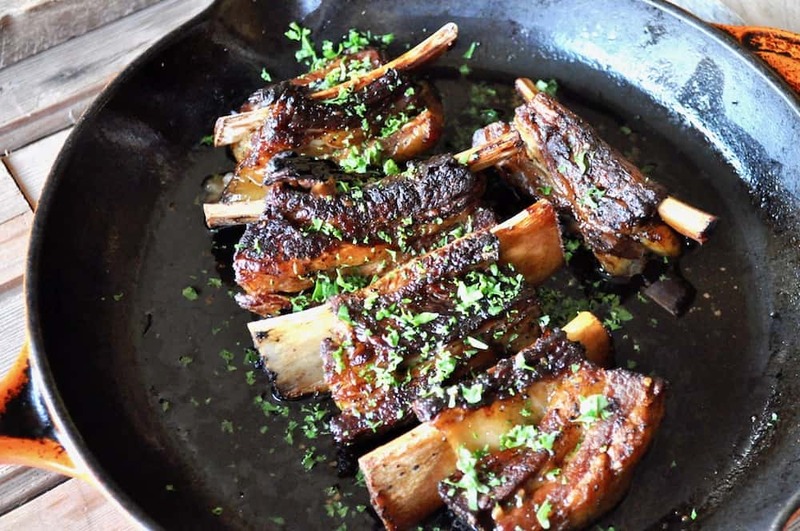 Replace the soy sauce and worcestershire with Coconut Aminos, and you’ve got Paleo Instant Pot Short Ribs. Nothing else needs to change either. There’s no sugar or ketchup added so these ribs are Paleo once the Soy Sauce is removed. 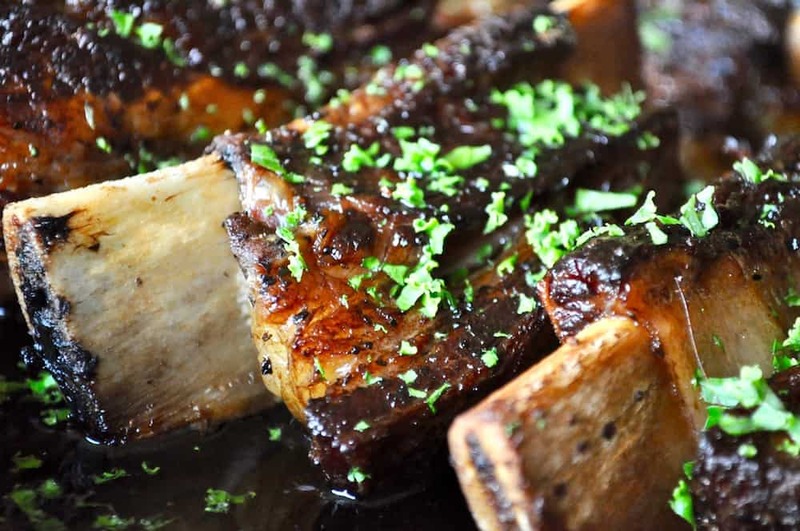 The only drawback to short ribs is that they’re incredibly expensive. I buy a grass-fed beef every year, and they come as part of our order, so we eat them several times a year. Before we started buying a beef, I would stockpile them. Whenever I saw them on sale or markdown, I’d buy them and put them in the freezer until I had enough to make a meal with them. It’s how I’d afford them now too if I weren’t buying a beef. Affordable short rib?? Cheap Short Ribs? YES! These Easy Instant Pot Short Ribs are so quick and hands off to make they give you plenty of time to put off planning dinner. We love short ribs and I’m always happy for another Instant Pot recipe. Oh these look super yummy! !